On this map you can find the closes compost point and collective gardens in your neighbourhood. The collective compost point we are going to is situated near Tour & Taxis on the Bd Emile Bockstael. It is open 24h/24h which is very handy for us because we are both working during the day. 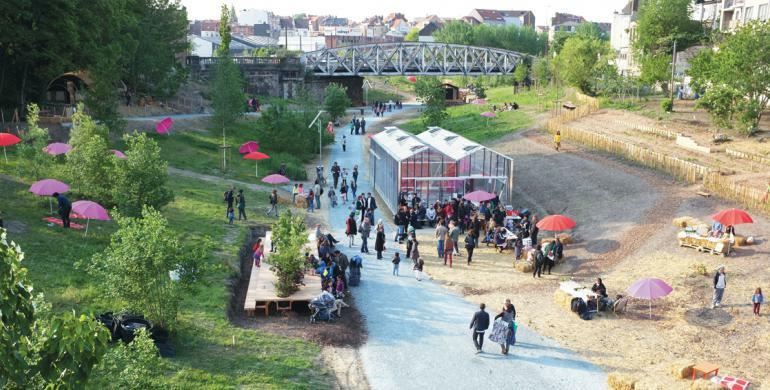 Under the bridge between Molenbeek and Laeken is the collective garden and newly landscaped park: ParckFarm. It allows households that do not have a garden or not enough space to compost themselves to reduce their waste production. The principle is very simple: bring the biodegradable rests of your kitchen waste at a place where the waste is then composted. We are usually bringing one big tupperware box per week to the compost point.